JcbNext Berhad is an investment holding company. It owned and operated the JobStreet.com online job portal business from 2004 to 2014. In 2014, the job portal business was sold to SEEK Ltd for close to RM2 billion with the net proceeds paid as dividends to shareholders. Today, the Company has stakes in associates, 104 Corporation, the largest job site in Taiwan and Innity Corporation Berhad, a leading provider of interactive online marketing platforms and technologies in Malaysia. It also has a majority stake in a small consultancy business in Japan and operates the Autoworld automotive classifieds and stake in a small consultancy business in Japan and operates the Autoworld automotive classifieds and content website. JcbNext also has quoted investments in Malaysia, Hong Kong and Singapore and owns a 8-storey office building in Kuala Lumpur and a 2-storey shoplot office in Johor. Total market value of JCBNext's equity portfolio had doubled to RM 247 million in 2017 vs cost of RM 115 million. 1) Strong balance sheet. 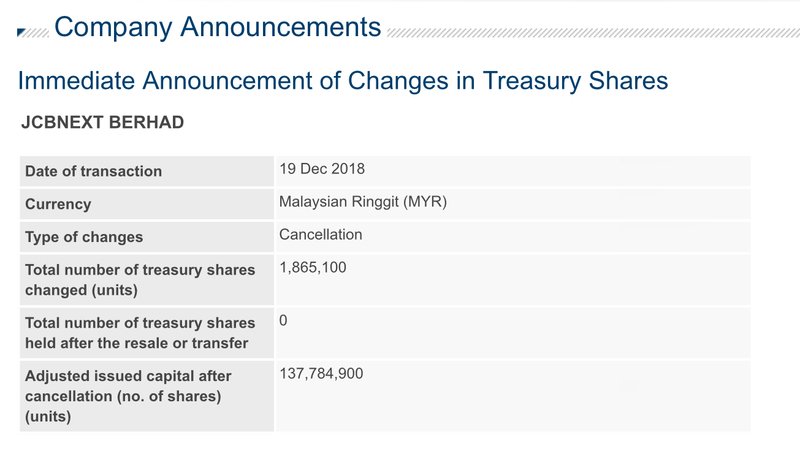 Based on shares outstanding of 137.78 million, cash and equivalent of RM 71.5 million and zero borrowing, cash per share is RM 0.52. 2) JcbNext trades at a huge discount of 48% to revised net asset value! Market price is RM 1.52 and there is RM 2.93 of net assets with the majority in cash and investments in liquid assets. 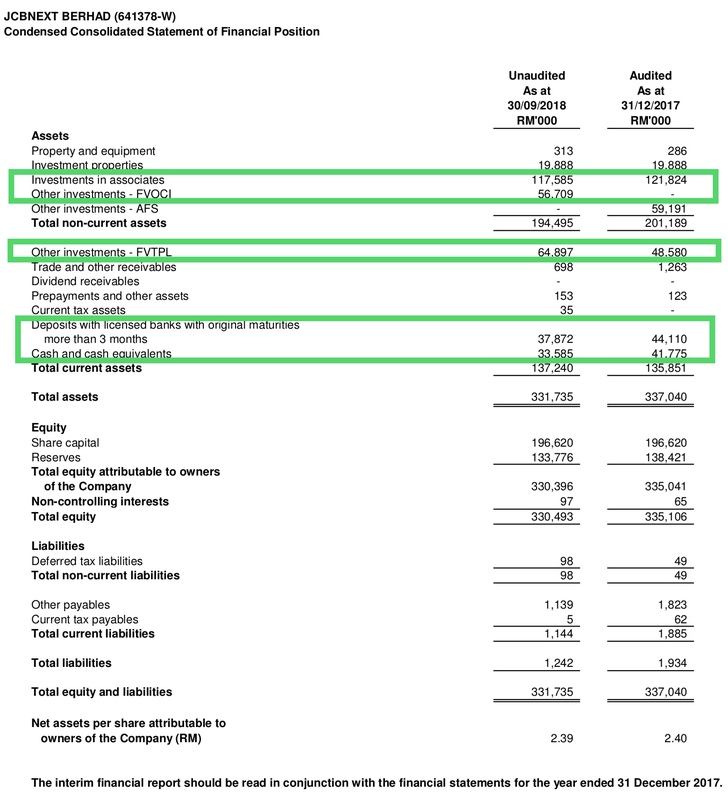 3) JCBNext has a good track record in share buybacks and cancellations which create value for shareholders. 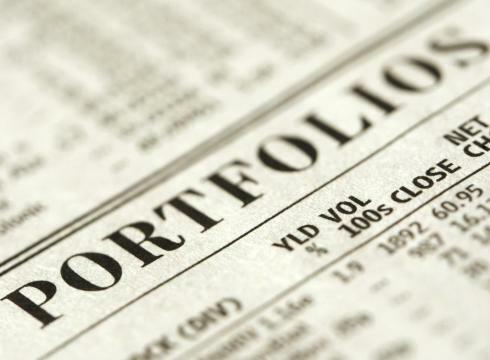 The management had indicated share buybacks as a way to return value to shareholders. So far, it had cancelled more than 2 million shares and we expect more cancellation as JcbNext aggressively buying back shares. The share buybacks will also help to support the share price. 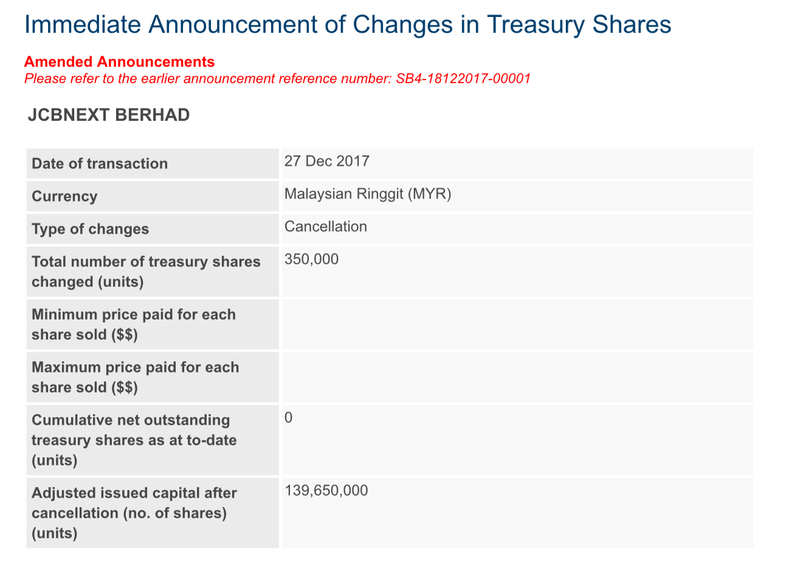 4) JCBNext paid a special dividend of RM 2.65 per share after the job portal business was sold to SEEK Ltd. As at Sept 2018, it’s investment portfolio is worth RM 312.4 million. 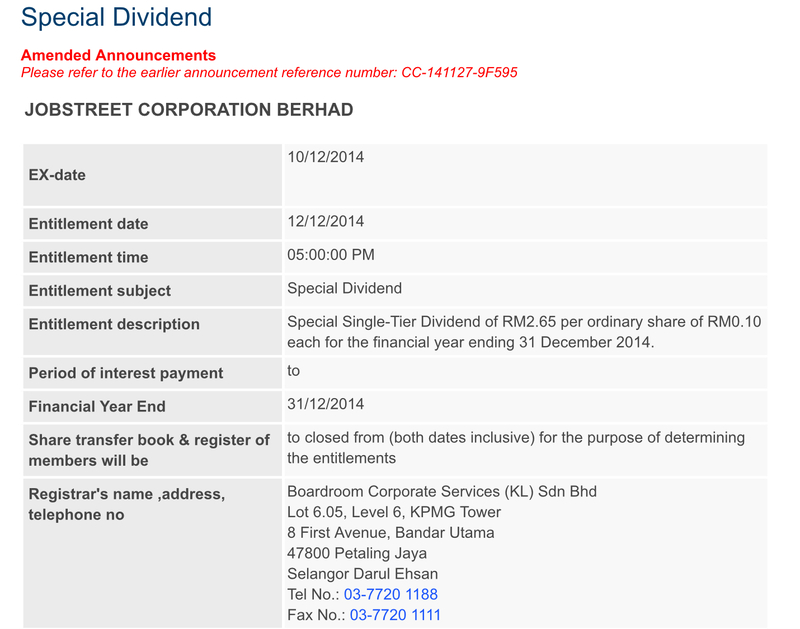 Should the company decides to liquidate the portfolio, shareholders may expect a special dividend of RM 2.28 per share.